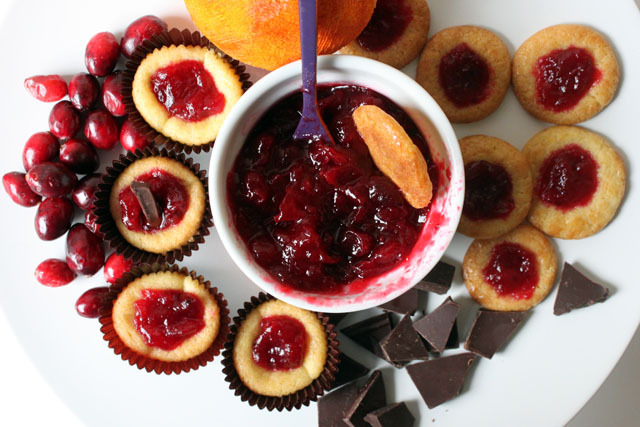 I made fresh cranberry orange sauce this year for Thanksgiving. Though I can eat it by the spoonful, it is no surprise it was the lone leftover of the weekend. Not everyone goes for jiggly, tart, citrusy substances. 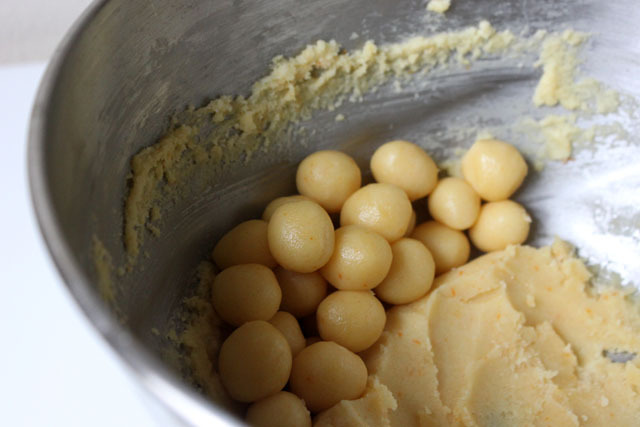 Today I added the zest of one orange to a little extra sugar cookie dough from a project I was working on in hopes of making a version of jam thumbprints with the leftover sauce. 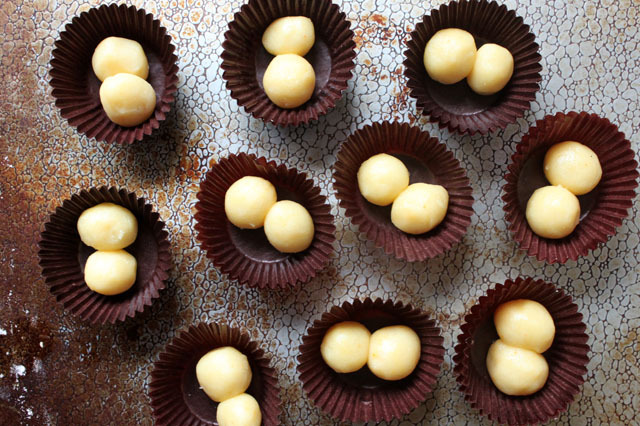 (I soon discovered that there is a reason for the difference in the dough of sugar cookies and thumbprint cookies) the cookies basically flattened out, so I decided to put two dough balls in a mini cupcake paper (sort of looked like these “mallow butts” from one of my favorite sites) and bake away. 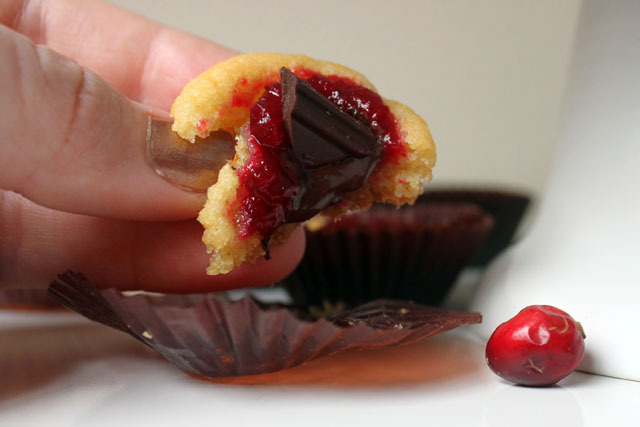 It worked better, and I made a well in the cookie cup for the cranberry sauce and topped it off with a shard of dark chocolate. 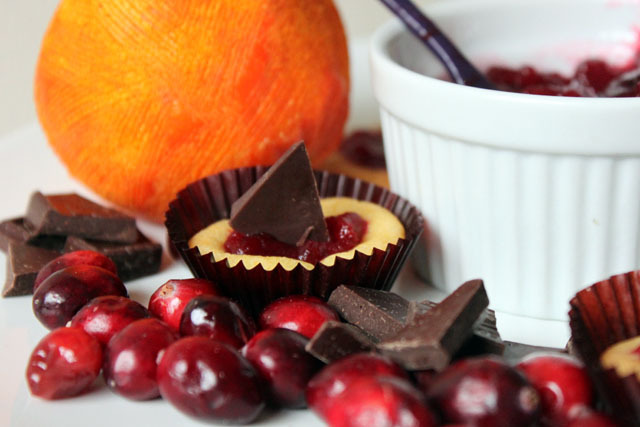 These cran-orange cookie cups with chocolate may convert a few to the cranberry side. What’s a leftover? Special thanks to my Aunt Priscilla and Aunt Susan who both complimented me on my sauce and gave me blog encouragement on Thanksgiving Day. I am fortunate to have such dedicated women (mothers, wives, public school teachers, etc.) in my life – this post is for you! thank you! it is a happy day when I have a http://www.butterlondon.com/ coupon to use! would be so fun to spontaneously share treats! let’s just say that my current neighbors are not interested..